Winger Hamilton are your authorised Isuzu dealer and service outlet here in Hamilton. Servicing your motoring requirements in Hamilton since 1931 the team at Winger Hamilton Isuzu are here to look after all of your Isuzu needs. With our vast experience we are your one stop for new and used Isuzu D-Max Utes and Mu-X models. We are proud to provide genuine parts and accessories which are fitted by our team of professional technicians. No matter the size of your fleet, we cater to all finance and lease options and can provide comprehensive options for you or your business. Paul has been involved in the motor industry for the majority of his working life, starting as a mechanic straight out of high-school. He moved into sales 5 years later. Paul has been with Winger for 20 years now and has filled the roll of dealer principal since 1999. Paul has a long involvement with motorsport in New Zealand both as an administrator, competitor, and team manager. His other passions include rugby and water-skiing. 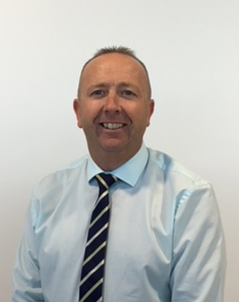 Michael Bryant has been involved in the Motor Industry since 1987. He began his career with Kirk Motors in New Lynn, Auckland as a New and Used salesperson. He became a registered sales person in 1992. He worked his way to assistant sales manager position and in 1995 left to work for Mike Vinsen Motors as Sales Manager, where he remained for 6 years before moving to the Waikato. In 2004 Michael was selling new and used cars for Winger until he started Town and Country Motors Waikato Ltd in 2005. This was very successful for him, and in 2011 was offered a reasonable sum of money, and sold his business. He returned to Winger Hamilton in April 2012. Outside of work, Michael is married to Lee-Anne and they have two daughters. His family proudly sponsor a child in India through World Vision. He is an old car enthusiast, and owns two classic cars and a classic Vespa, and much of his time spare time is taken up following his passion. Alan has been with Winger for just over 15 years. During this time he has been the parts manager, however in the last couple of years he has resumed the role of Aftersales Manager for parts and service. Most of Alans working life has been in the motor industry having started as a mechanic. Prior to winger he had an auto business of his own in Tauranga. Outside of work Alan spends most of his time with family or out fishing. Jason has been involved in the motor industry his whole life, still currently owing a race, rally and Targa license. His father is a salesman himself and together they raced for 9 years in the Motul SS 2000 in a Mazda RX7. They have been all over New Zealand racing and from this they won multiple awards. Jason joined the Winger parts department in early 2015 and swiftly transitioned into sales after just 3 months. He has quickly become a valued member of our team.